The Angels demanded that the city of Anaheim order additional study of a large-scale development planned for a site adjacent to Angel Stadium. 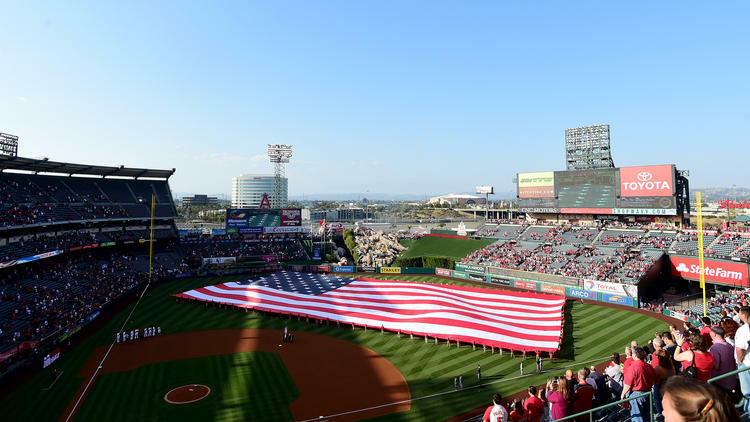 The demand, contained in the second hostile letter from Angels lawyers to the city within two weeks, comes as the team and city have revived talks on a lease that would extend the Angels’ tenure at the city-owned stadium. Last week, the Anaheim Planning Commission, over the Angels’ objections, unanimously endorsed a 15-acre complex of shops, restaurants, offices, residences and a hotel on the site next to Angel Stadium.